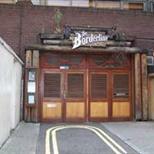 Borderline is a music venue in London located on Orange Yard which is off Manette Street. Manette Street is off Charing Cross Road (the west side), between Shaftesbury Avenue & Oxford Street. Orange Yard is on the right hand side of Manette Street as you come from Charing Cross Road. Borderline is a small venue that has hosted many big bands in the past as they were on there way up. It is well known to host up and coming bands and has a fantastic history. Venue Rules - Current England & Wales Licensing laws are strictly enforced - Ticket holder may be subject to search - Tickets are non-refundable or transferable - Venue requests no bags allowed into the venue - The venue reserves the right to change the bill without prior notification. - Ticket holders consent to any filming and sound recordings as members of the audience - Ticket holders may be subject to continuous sound levels which may cause potential damage to hearing - Ticket holders may be exposed to strobe lights - Only official merchandise is on sale inside the venue, do not buy outside. This is for your protection so that you will receive goods of proven quality. - No 'professional' type cameras, video cameras or sound recording equipment will be allowed in the venue. - Venue advises that tickets are non-refundable and non-transferable. - Venue advises only customers in possession of a valid ticket will be admitted into the venue. Lost, stolen or misplaced tickets will not be replaced. - No re-admission policy is strictly enforced - No bottles, cans, alcohol or food is to be brought into the venue - No illegal substances may be brought into or taken on the premises. Any one caught in possession of such substances will be ejected form the premises and may be reported to the Police - Any ticket holder throwing drink & objects (beer, glasses etc) will be removed from the building and no refund given. Furthermore, customer details will be provided to the regulatory authorities should an offence be alleged to have taken place. - The venue management accepts no responsibility for acts of wilful endangerment, or injuries caused thereby to yourself or other patrons whilst on the premises. - No weapons. The management reserve the right to define & confiscate - No ticket monies, booking fees etc will be refunded following ejection or refused entry. - No smoking anywhere within the venue complex - at it's discretion the venue management will allow smokers out of the venue. Management reserves right to refuse admission PLEASE NOTE: Drinking on the street is controlled in London Boroughs, any customer found in possession of alcohol will be refused entry to the venue and possibly detained for police action. This is a Challenge 21 venue. If you are lucky enough to look under 21 you will be asked to prove that you are over 18 when you buy alcohol. If you are under 18 you are committing an offence if you attempt to buy alcohol. The Venue adopts a neighbour friendly policy so please make as little noise as possible on leaving the venue. The closest Tube is Tottenham Court Road which is on the Central line & Northern line Charing Cross branch. Exit by the steps for Oxford Street southside then turn right out of the tube station & right into Charing Cross Road. Manette Street is then 250 metres down Charing Cross Road on the right hand side. You are advised to use public transport. If you have to drive , the venue is off the Charing Cross Road A400 - head for West End. Black cabs occupy Charing Cross Road. There is a licensed mini cab office - Elondon Cars at 41 Frith Street - 020 74944004 - 200 metres from the venue. Bus routes 14,19, 29,38, 24 (24hrs) 176 (24hrs) & night bus routes N5, N20,N29, N41,N279 run along Charing Cross Road past the venue. Bus routes 7,8,10, 55,73, 98, 25(24hrs) 390 (24hrs) & night bus routes N7,N8,N10,N55,N73,N78,N207 run on Oxford Street stopping at the junction with Charing Cross Road Routes 134 & 242 terminate/start at Centre Point on Charing Cross Road The venue is 8 minutes walk from Trafalgar Square - the main central departure point for night buses. Exit Manette Street & turn right down Charing Cross Road. Parking is extremely limited in the local area, with mainly underground parking lots and metered bays available. The nearest NCP car park is on 112 Great Russell Street. There are no steps into the building; there are 23 steps into the Auditorium, split into 3 flights of stairs with 2 landings. There is no wheelchair access to the venue. Deaf and ambulatory disabled customers please contact the venue on 020 7734 5547 for more information.